Download Annuity Theme in Light tone With Green accent to your EMUI 4 Device. 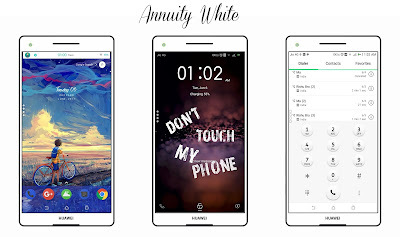 Huaweiemuithemes, Themes for huawei emui, Themes for Honor, Tema untuk Huawei Emui. This theme has Custom Animation Lockscreen, that increase the beauty of your device without Using any extra Software..